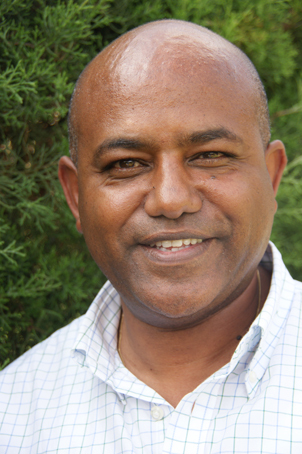 EfD Ethiopia Center Director and Senior Research Fellow, Alemu Mekonnen(Ph.D), has been invited to be a member of the Sustainable Land Management Technical Committee (SLM TC) of the country. He participated on the SLM TC meeting on Wednesday, 15th October 2014 beginning 09:00 am at the MoA premises, to discuss on the logical framework for SLMP and to approve the final draft of the Harmonized Logframe for SLMP. Identify a combination of SLM strategies that provide the best payoff while mitigating environmental stresses. This project is expected to contribute to sustainability and poverty reduction agenda as SLM practices can enable farmers to become resilient to climate change by improving ecosystem services and functions, increasing agricultural productivity and enhancing food security. This platform is expected to be a good opportunity to disseminate research outputs of EfD Ethiopia as Research Fellows of the Forum are working on SLM and adaptation issues in Agriculture in Ethiopia.